If you like Doctor Who and drinking then you need this Dalek and Tardis glass set. 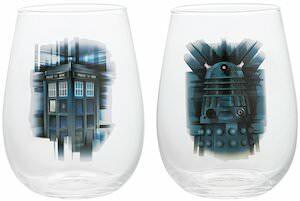 The set has two nice Doctor Who glasses and on shows a Tardis and one that shows a Dalek and then on the back of the glass you will find a Doctor Who logo. The Doctor Who glasses are 18oz tumblers and they come in a nice full color gift box so that you can make your friends happy if you get them some Doctor Who glasses for having a nice drink while watching Doctor Who on TV. Why have a plain glass when you can have something way cooler? 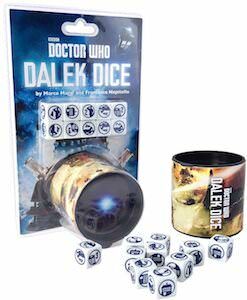 If you are a Doctor Who fan that likes to play gams then you have to check out this Dalek dice game. The Doctor Who board game includes a dice cup with Dalek design and 10 special dices. Now it is your goal to exterminate the humans. On a day with rain and cold you can just stay at home and enjoy a fun Doctor Who boardgames with your friends and see who is the best Dalek and can exterminate your competition. Don’t get a cold head this winter because now there is a Dalek and Tardis Christmas beanie hat that is just perfect at keeping you warm. 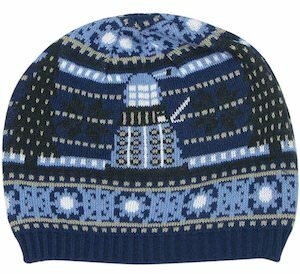 This beanie hat is made for Doctor Who fans like you and the hat is blue and has a Dalek and a Tardis on it and it has black Christmas trees to make it all festive. The Doctor Who hat is made from 100% acrylic and that makes it just perfect as it is warm and ready for all those cold days that you can expect in winter. 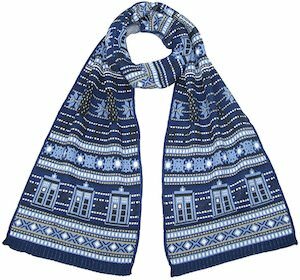 Now you can have a Christmas themed winter hat that is all Doctor Who themed. This Christmas you can decorate your tree while wearing this Doctor Who decorating the tree t-shirt. The t-shirt is available in styles for men and women and comes in many colors and sizes Small – 3XL and sweaters are available too. 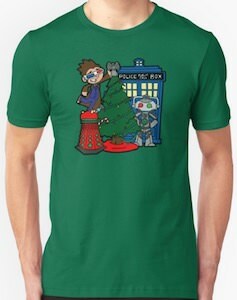 On the Christmas t-shirt, you can see a Christmas tree with a Tardis behind it and the 10th Doctor is decoring the tree by putting a Weeping Angel on top of the tree while standing on a Dalek and a Cyberman is powering the lights on the tree. 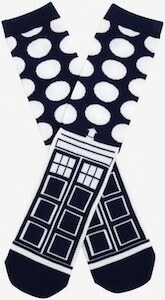 It’s a fun and special Doctor Who shirt that is just made for the holidays. If you want a giant Dalek t-shirt then look no further as this shirt shows one that takes up a lot of the space on the shirt. The Doctor Who t-shirt is a unisex t-shirt in sizes XSmall – 2XL and the design covers both the front and back and even the sleeves are part of the design. Now both men and women can show the world that they like to exterminate things because that is really what this Dalek likes to do. The shirt just shows a giant Dalek up close and it really looks pretty cool and even the dark background shows an interesting light show. 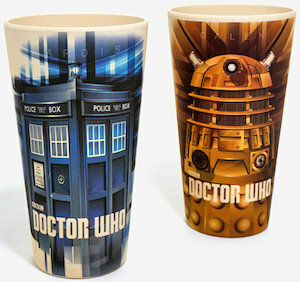 If you want a drink in Doctor Who style then you have to check out this set of Tardis and Dalek bamboo tumblers. You get two amazing looking cups that can hold 24 oz of your favorite drink and they are dishwasher safe and they are made from bamboo making them also biodegradable. And Doctor Who cups have amazing graphics. One cup shows the Tardis on it and the other a Dalek and they have different images on the front and back and both look really amazing. Wine, juice, and water will all work fine in these amazing tumblers and they will last as long as you are a Doctor Who fan and then it can just biodegrade and go back to nature. 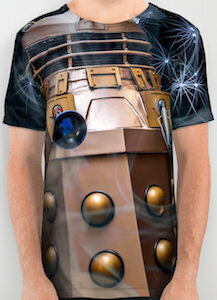 If you are looking for the perfect kids Doctor Who t-shirt then this Dalek shirt may be just what you want. 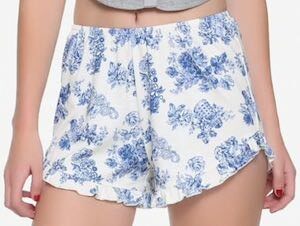 The navy blue Doctor Who t-shirt shows a square with on it 4 Dalek from the side and in the middle a circle with the front of a Dalek in it and to top it all off the top of the square says “Exterminate” just like a Dalek would say. 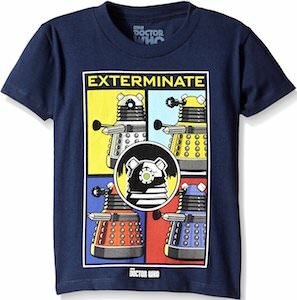 The kids Doctor Who t-shirt is available in many kids size for little and bigger kids and all the Dalek shirts are made from 50% cotton and 50% polyester making it soft and comfortable.